The information contained in this website is not promised or guaranteed to be correct or complete. Bridge II Sports expressly disclaims all liability in respect to actions taken or not taken based on any or all the contents of this website. 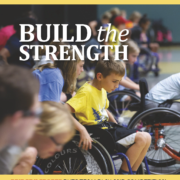 The materials on this website do not necessarily always reflect the opinions of Bridge II Sports or any of its officers, directors, sponsors, or participants. Because of limitations in the security features of the Internet, information sent to/from this site may be intercepted by third parties, and you agree not to hold Bridge II Sports responsible for any such interception. 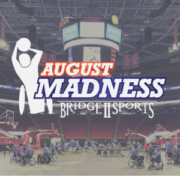 Bridge II Sports is providing this site, the information, listings, and links contained herein only as a convenience to you. Third party sites listed as hypertext links herein are not under the control of Bridge II Sports. This website does not incorporate any materials appearing in such linked sites by reference. Bridge II Sports makes no representation concerning the quality, safety or suitability of the content of these sites nor does the fact that Bridge II Sports has included any such link serve as an endorsement or approval by Bridge II Sports of any of those sites. The material in this website could include technical inaccuracies or other errors. Your use and browsing of the site is at your risk. Bridge II Sports assumes no liability for the use or interpretation of information contained herein. This website is provided “AS IS” AND “AS AVAILABLE” WITH ANY AND ALL FAULTS AND WITHOUT WARRANTY OF ANY KIND, EITHER EXPRESSED OR IMPLIED, INCLUDING, BUT NOT LIMITED TO, THE IMPLIED WARRANTIES OF MERCHANTABILITY, FITNESS FOR A PARTICULAR PURPOSE, ACCURACY, OR NON-INFRINGEMENT. BRIDGE II SPORTS DOES NOT WARRANT THAT THE WEBSITE OR CONTENT THEREIN ARE ERROR-FREE OR WILL BE UNINTERRUPTED, FREE FROM SPYWARE, MALWARE, ADWARE, VIRUSES, WORMS OR OTHER MALICIOUS CODE, OR WILL FUNCTION TO MEET YOUR REQUIREMENTS. TO THE EXTENT NOT PROHIBITED BY LAW, IN NO EVENT SHALL BRIDGE II SPORTS BE LIABLE FOR PERSONAL INJURY, OR ANY INCIDENTAL, SPECIAL, INDIRECT OR CONSEQUENTIAL DAMAGES WHATSOEVER, INCLUDING, WITHOUT LIMITATION, DAMAGES FOR LOSS OF PROFITS, LOSS OF DATA, DENIALS OF SERVICE (INCLUDING COMPUTER CRASHES), BUSINESS INTERRUPTION OR ANY OTHER COMMERCIAL DAMAGES OR LOSSES, ARISING OUT OF OR RELATED TO YOUR USE OR INABILITY TO USE THE WEBSITE, OR ANY DOWNLOADED CONTENT, HOWEVER CAUSED, REGARDLESS OF THE THEORY OF LIABILITY (CONTRACT, TORT, OR OTHERWISE), EVEN IF BRIDGE II SPORTS HAS BEEN ADVISED OF THE POSSIBILITY OF SUCH DAMAGES. Bridge II Sports reserves all rights not expressly granted to you in these terms and retains all title, interest and ownership of all intellectual property rights in and to the website or its content, including, but not limited to, all copyright and rights and interests of every kind and nature in and to all works based upon, incorporated in, derived from, incorporating or relating to the website or content, or from which the website or content is derived, as well as the right to exploit any of the foregoing in all media and by any manner and means now known or hereafter devised, throughout the universe, in perpetuity. 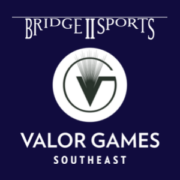 Certain of the trademarks, logos, and service marks (collectively, the “Trademarks”) displayed on this website, including but not limited to the Bridge II Sports logo are trademarks of Bridge II Sports. Nothing contained on the website should be construed as granting, by implication, estoppel, or otherwise, any license or right to use any Trademark displayed on this website without the written permission of Bridge II Sports. Your misuse of the Trademarks displayed on the website, or any other content on the website, except as provided herein, is strictly prohibited. 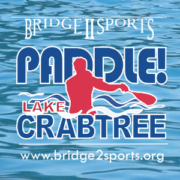 Reproduction, distribution, republication and retransmission of material contained within this website are prohibited without the prior written permission of Bridge II Sports. We will endeavor to review feedback and seek to improve our services to meet your needs. 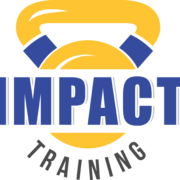 If you have any questions about the practices of this website, or your experience with the website, or would like to provide comments, you can send us an e-mail using our “Contact Us” form. 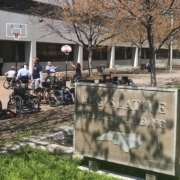 These terms and conditions will be governed by and construed in accordance with the laws of the State of North Carolina. Bridge II Sports may revise these terms and conditions from time to time by updating or revising this posting, with the revised terms and conditions taking effect as of the date of its posting. It is your responsibility to check these terms and conditions periodically for changes. Your continued use of the website following the posting of changes on the website will mean that you accept and agree to the changes.